The phone is fueled by the Qualcomm Snapdragon 710 processor and has up to 8GB of RAM and 128GB of internal memory. 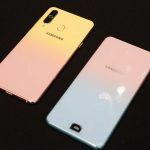 Samsung’s first smartphone with a circular display cutout, the much awaited Samsung Galaxy A8s has been unveiled in China. 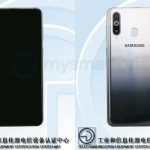 The phone has been listed on Samsung China’s website and sales will expectedly start soon. 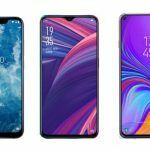 It seems Samsung has made an attempt to outpace Huawei and its sub-brand Honor, both of which have teased their own phones with a peephole, namely the Huawei Nova 4 and the Honor V20. 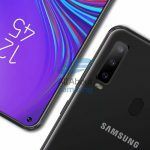 However, unlike Huawei’s smartphones, the Galaxy A8s features mid-tier specifications. 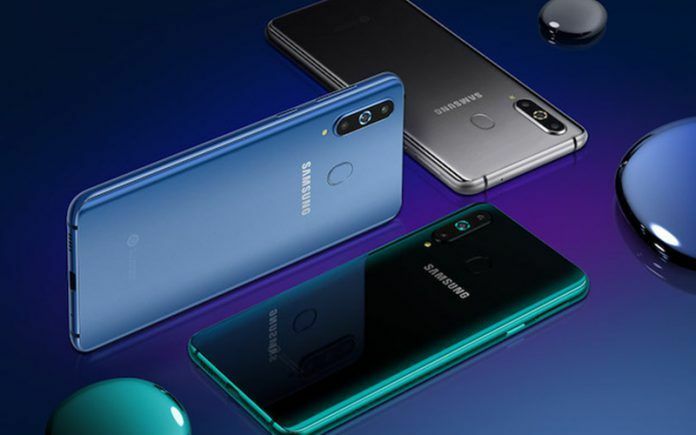 The Samsung Galaxy A8s is available in three colors: Elf Blue, Aurora Black, and Alien Silver. The phone looks pretty luxe, with its radiant glass back and the bright metallic paint job. The 3D curved back panel features an iridescent design, giving the phone a refined look. At 7.4mm, the Galaxy A8s is also really slim. The phone comes with either 6GB or 8GB of RAM (only for the Elf Blue variant), which is paired with 128GB of internal storage. Although the phone has been launched, its price hasn’t been revealed yet, but it is expected to cost around INR 32,000. Pre-orders will begin on December 12 in China, but consumers can ask to be notified on the website. Early bookers can also win JBL Bluetooth Speakers. The Galaxy A8s sports a 6.4-inch Infinity-O display with an aspect ratio of 19.5:9. Needless to say, the screen estate is pretty impressive, although the company hasn’t revealed the screen to body ratio. The phone is underpinned by the Qualcomm Snapdragon 710 processor, which promises swift response and low power consumption. The phone runs the Samsung Experience 9.5 on top of Android 8.1.0. It features a rear-mounted fingerprint reader, and other sensors include a distance sensor, gravity sensor, and light sensor. It packs in a 3300mAh battery and also supports dual-sim card. The 3.5mm headphone jack has also been retained. The Galaxy A8s features a triple camera system, including a 24MP main camera with an aperture of FI.7, a 10MP telephoto lens with 2x optical zoom, and a 5MP depth sensor with an aperture of F2.2. It offers various functions such as real-time blurring and promises stable hand-held performance. The small hole in the top left corner of the screen houses the 24MP front camera. The front camera looks pretty noticeable, but it will blend in nicely if the phone ever gets the One UI which will have a dark mode. As is clear by now, Samsung isn’t doing so well in the smartphone sphere. That’s why the company has started bringing innovative new features to its midrangers first so that it can increase its foothold in the mid-tier market. 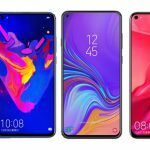 Samsung never had a thing for the unsightly notches, and the display hole allows it to increase the screen estate without having to resort to them. The Infinity-O display will also be adorned by the upcoming the Galaxy S10.